Pick: Well, Grin, nice find! Those old promotional booklets from WESTVACO Printing and Publishing should be popular. Entitled “Westvaco Inspirations for Printers”, they have a lot of neat advertising pictures, ready to frame! The paper is much more solid than magazine “tear sheets”, they are nice quality pages. The pages are marked with the specialty type of paper used, pretty cool! Let’s pull some out and look for frames! Grin: What? Are you crazy? These will be much better as a whole booklet. Lovers of “Advertising from the Golden Age”, the 1920s and 30s, will be delighted to have these in their collection. Pick: But check out some of those ads. The artists are top-of-the-line and even the articles, like the one on Will Bradley, is framable! And pictures by Robert Cheveux, Cavarrubias, Will Hollingsworth, Maxfield Parish, these are incredible. Grin: I just do not have the heart to tear these up. Although, I do agree that the page showing the Erte’ ad for nylon stockings is awesome. I can see it in a period frame, perhaps in a bathroom or on a vanity. Pick: So I am swaying you, huh? That’s hard to believe since you have that stubborn Austrian gene from your dad. In any case, no, I am not convinced. Grin: Well, we have a daughter who loves ephemera and her husband is a “font-lover”, so perhaps they’d like to check them out before we decide what to do. Pick: Well, how would it be if you listed just one of them on-line. Maybe you’ll get some information on their value or what type of buyer might be inclined to purchase these. Grin: That sounds perfect for Etsy. It just might work. For once, we have reached a pleasant compromise. Dad would be proud! 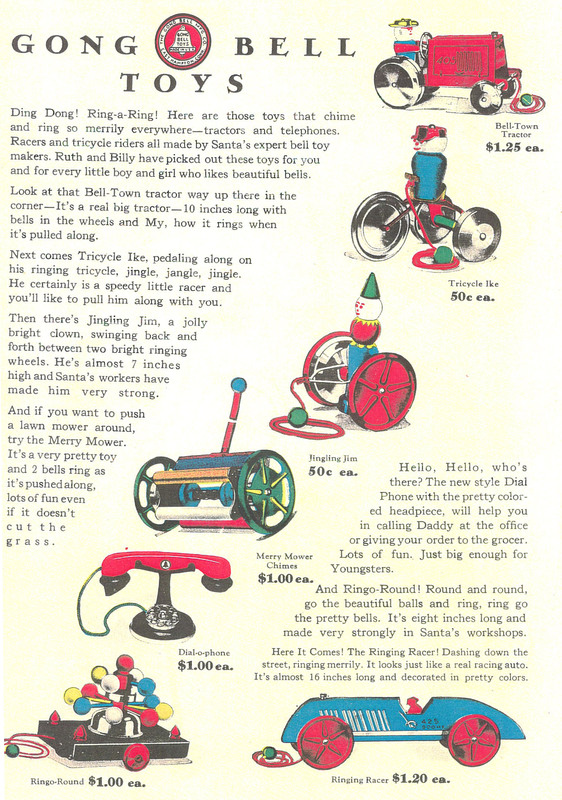 A full page of Gong Bell Toys from a Billy & Ruth catalog from 1930. Grin: I decided to clean out some desk drawers and filing cabinets. Trash collection is tomorrow and I can’t seem to close some of my drawers anymore. Pick: You never could keep your drawers closed. Grin: I resemble that remark, and blame you for my condition. But to the point, I have trashed some stuff I know should have gone to recycle years ago, mostly paper receipts, bills, catalogs and correspondence. Lots of old price lists, that makes me cringe when I think of the great stuff I should have bought at those prices. Pick: Was that back when you were making two bucks an hour, and all the fries you could eat? Grin: OK!! Ruin a dream, but you were the one that married me for my money. Pick: I married you because your mother promised to pay off your bar tab. Grin: And your father offered me fifty bucks and a tank of gas if I wanted to escape. Pick: So, what’s the problem, do you need help carrying your junk to the curb? Grin: What I really need is a sanity check, I have found stuff. Things that have accumulated into what can only be described as unexpected collections. And since you are an expert on collections, I need your advice on whether to toss them out, or save them with the intent of someday offering them for sale. Pick: Well, if they’re your collections, some items are probably antique already. Grin: I should have taken the fifty bucks. Pick: So let’s see what can be tossed or saved. 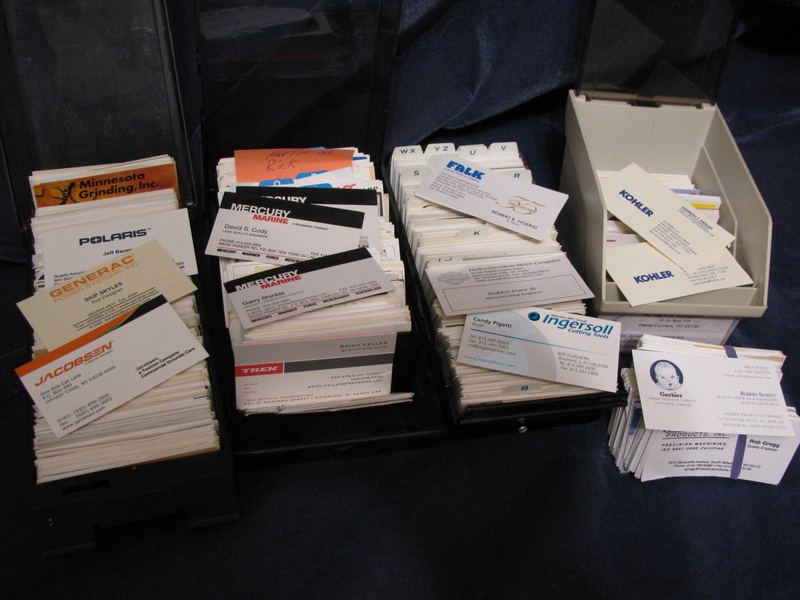 The collection of business cards, mostly industrial companies from the upper mid west, lots of big name companies, many manufacturers now gone or moved. 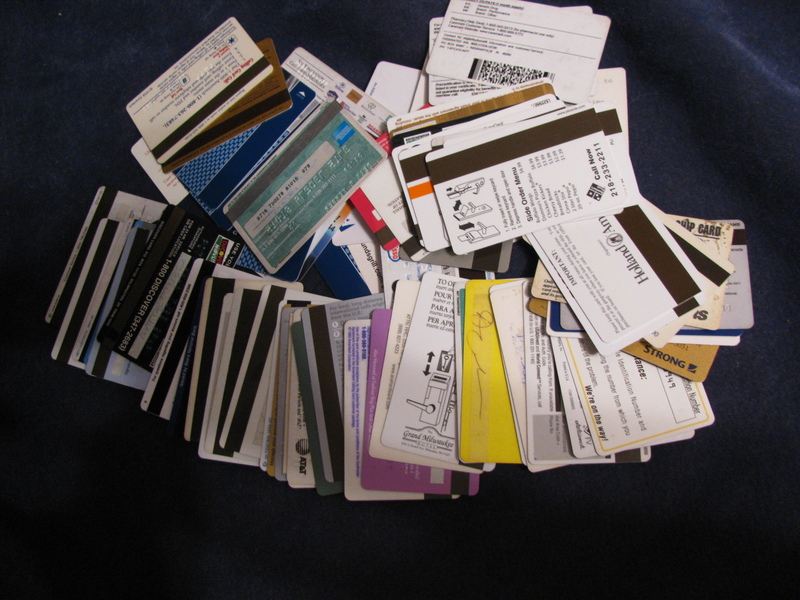 Our old expired credit cards. Plastic and heavy paper faux credit cards pasted on letters telling me my credit was so good I needed another card. Pick: Goes to show, you can fool some of the banks all the time and all of the banks some of the time. 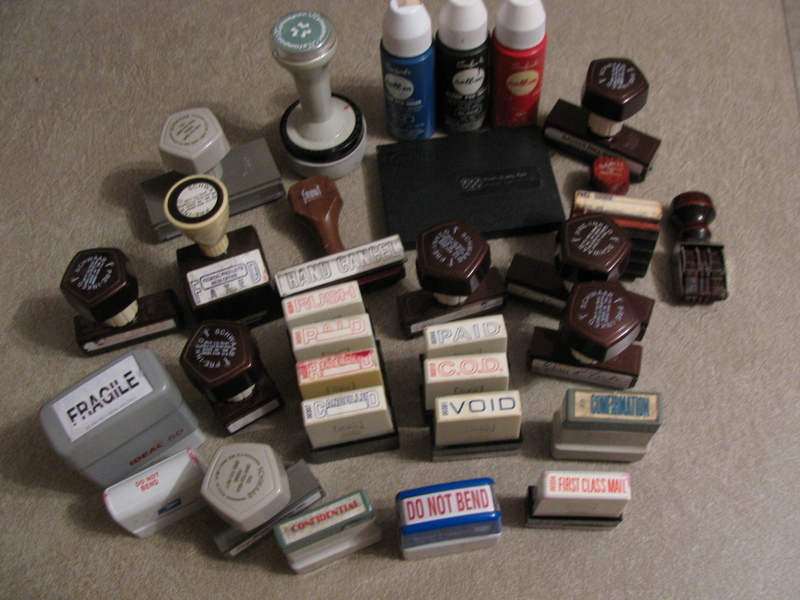 Rubber stampers, mostly shipping room types, some are address or date stamps. 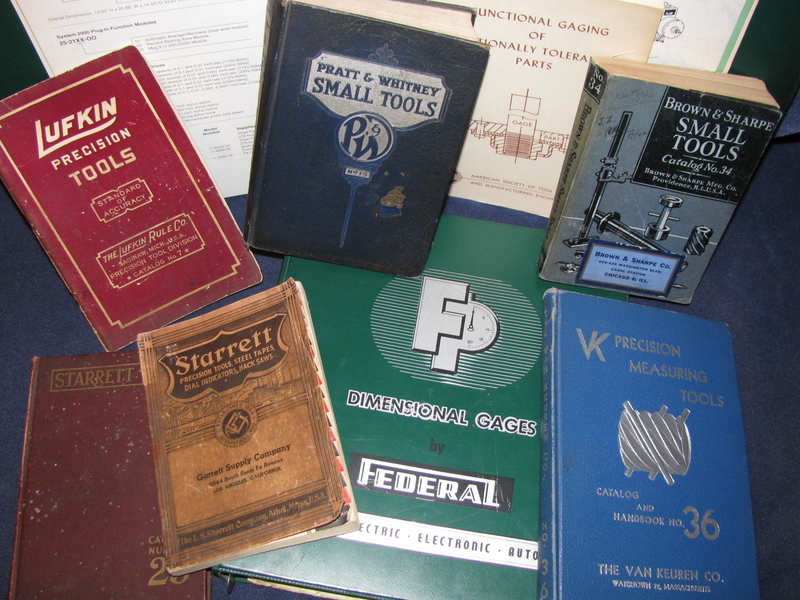 Old industrial catalogs, some dating back to the 1920s. Connection cables from computers and electronic devices. Pick: Well, let’s analyze each to see their potential for a future sale, with the understanding you’re going to toss out the useless collections. 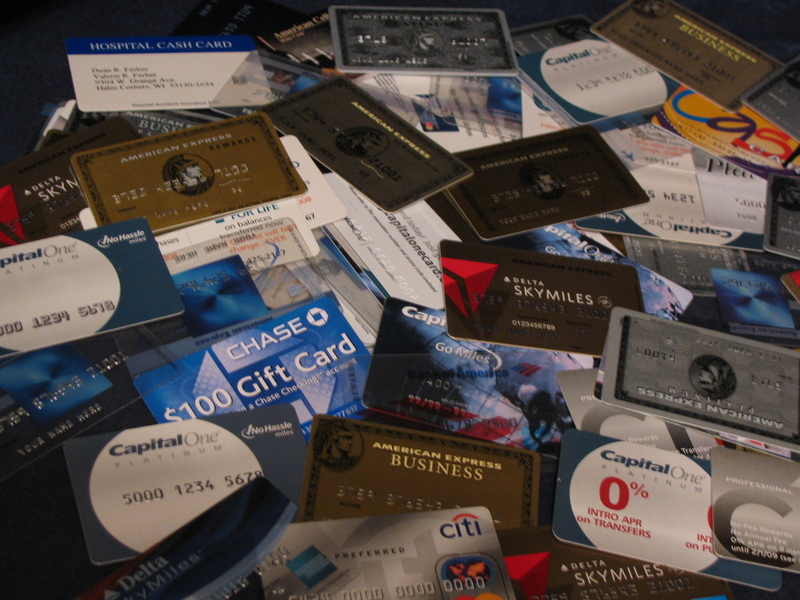 First, your collection of fake credit cards, that’s an easy toss. You have so many the same and all from big companies, the collection will never be sellable in your lifetime. I’ll bet these were send out by the billions. On the expired credit cards, I just don’t like having our name out there on old cards. This one is a tough decision as I have sold old credit cards before, but like the fake ones, none of yours are from old, out of business companies like Gimbels Department Store, a bank or an oil company thats no longer in business. Those would be worth hanging on to. 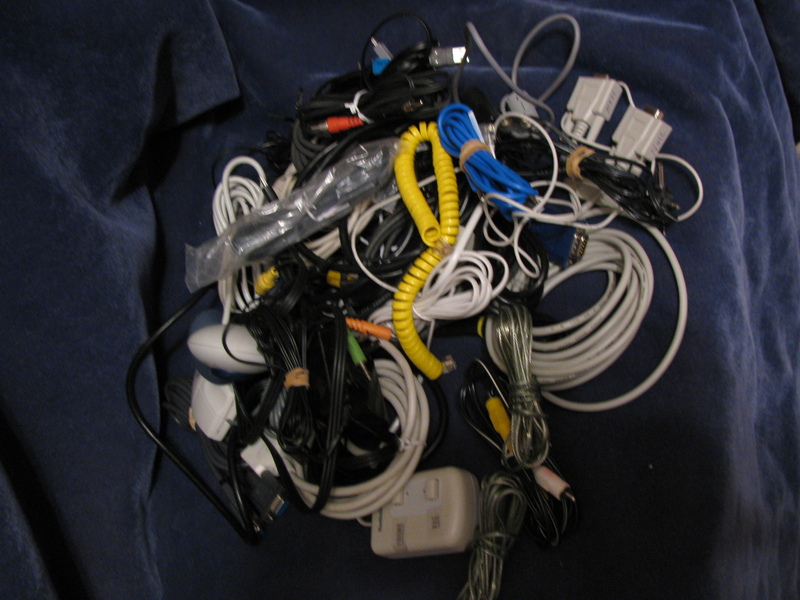 As for old electrical cables, why not save one of each style and recycle any duplication of the ones that are from old technology. The rubber stampers, ink and pads are strictly useable, none are old enough to call collectable but still useable. Keep any that can be used for our antique business and sell or donate the rest. I would think with the stamping craze still strong, some might be sellable, like the fragile or first class stamps. I have been surprised at the number of ephemera collectors we have encountered, look at our recent sales on Ebay, especially luggage labels, industrial catalogs, industrial employee magazines and bus passes. I would suggest any of those items are worth saving, as long as they’re older than 1980..
Grin: That’s pretty new. I have socks older than that. Pick: 1980 is thirty years ago. That’s not the only thing in your drawers that’s old.